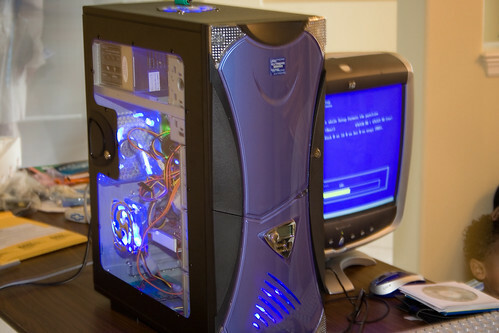 I built this computer for Dave when he graduated from High School. I learned that, although Windows XP 32-bit should have been able to read 4 GB of RAM, it wasn’t able to. It had the most powerful graphics card I’d installed up to that point because Dave was a big WoW player at the time. It really transformed how well the game played for him (graphics and speed) and that was satisfying to see.